✔ BRIGHT, HIGH OUTPUT LED - Illuminate your space with 2200+ lumens! Super bright, high output 4ft LED tube lights are a perfect fluorescent replacement in your garage, warehouse, or office. Prepare to see things in a new light! 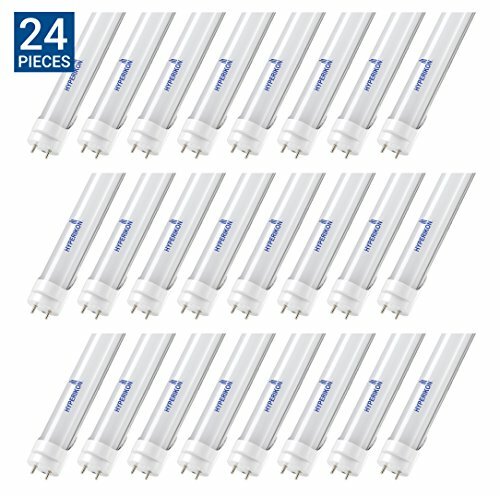 ✔ REBATE ELIGIBLE - Hyperikon T8 LED dual-end powered tubes are UL-listed, making them eligible for many utility, local, state, and federal LED retrofit rebates! Save money, save energy, and be rewarded in your energy efficient choice.